NEW YORK -- Hillary Clinton warned Thursday that President Trump has unleashed a level of hate and vitriol that is "incredibly dangerous." The former Democratic presidential nominee lashed out at the Republican president as she reflected on the 2016 campaign during an appearance at book industry conference in New York City. Clinton said Trump encouraged his supporters to express their anger verbally and physically during the campaign, a reference to multiple incidents of violence at Mr. Trump's rallies. She likened the president's strategy to that of leaders in Bosnia and Rwanda who enflamed cultural tensions to win power. "That is incredibly dangerous," she said. "That is unleashing a level of vitriol, and defensiveness, hatred, that I don't think we should tolerate." Clinton cited the recent attack in Portland, Oregon, in which two people were killed after confronting a man shouting anti-Muslim insults at two young women. Mr. Trump called the violence "unacceptable" two days after the attacks on Twitter. "The victims were standing up to hate and intolerance," he wrote. Clinton on Thursday did not mention her explosive comments from a day earlier in which she blamed her election loss on various factors. 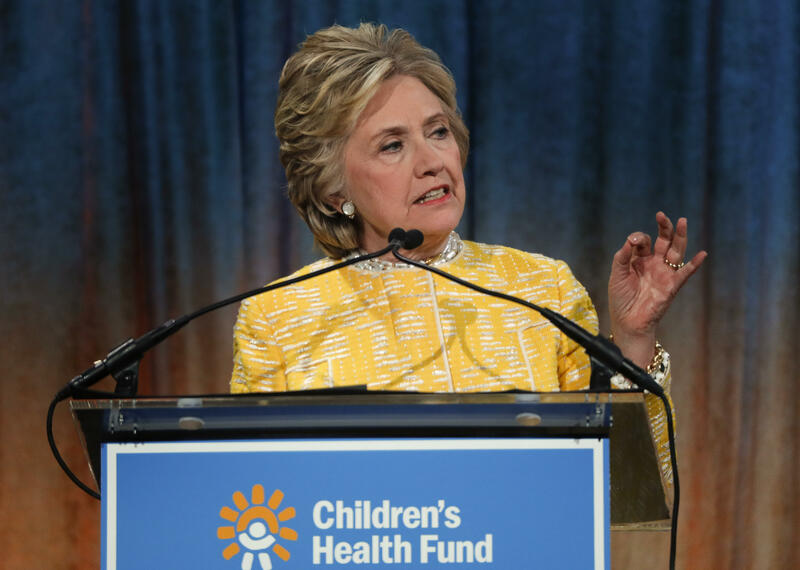 Among them, Clinton said she inherited "nothing" from the Democratic Party and that the press had overreacted to her use of a private email server while she was secretary of state. Last month, she also attributed her loss to misogyny, Russian interference and questionable decisions by the FBI. Mr. Trump elevated Clinton's comments by tweeting late Wednesday, "Crooked Hillary Clinton now blames everybody but herself, refuses to say she was a terrible candidate." Clinton on Thursday said she worries that Mr. Trump may already be doing "lasting damage" to the nation's institutions. "I'm fine as a person," she said of her loss, "but I'm worried as an American." Clinton tweeted Thursday about Mr. Trump's announcement to leave the Paris climate accords, calling it "a historic mistake."